Come as you are. Come as you want to be. You've heard of The Fire Ball, but what is it? The Fire Ball is UW-Eau Claire's drag ball extravaganza! 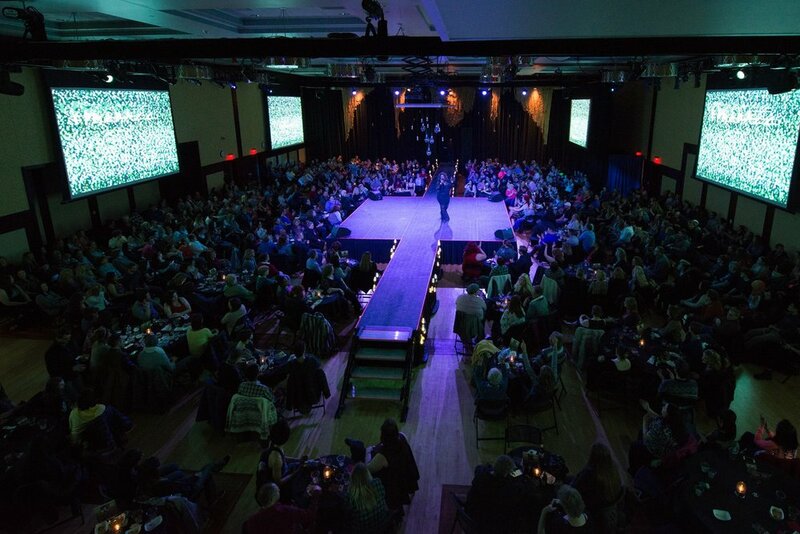 Each year in the Spring, the Ojibwe Grand Ballroom plays host to local and national drag performers who turn it out for packed audiences. Each year, The Fire Ball is headlined by drag superstars from RuPaul's Drag Race (past performers include Latrice Royale, Alyssa Edwards, Raven, Kennedy Davenport, Chad Michaels, Shangela, Katya, Bob the Drag Queen, Detox, Sharon Needles, Manila Luzon, Asia O’Hara, and Monét X Change), and they are complemented by several amazing drag queens and drag kings who are, in one word, FIERCE! Cee Cee Russell taking selfies with Fireballers! The Fire Ball offers numerous opportunities for students to get involved, either behind the scenes or as performers in the actual production. Do you want to be a Fire Ball Dancer? A fire/poi spinner? Do you want to take tickets at the door? Help sell merchandise to attendees? Or, do you think you have what it takes to beat your mug (*drag queen vernacular for "put on make-up") and entertain in drag? Whatever your interest, there is an opportunity to get involved! Colin Acumen strutting his stuff! Importantly, The Fire Ball isn't just another drag show. 100% of the proceeds fund Gender & Sexuality Resource Center programming, the bulk of which supports student social justice advocacy efforts. 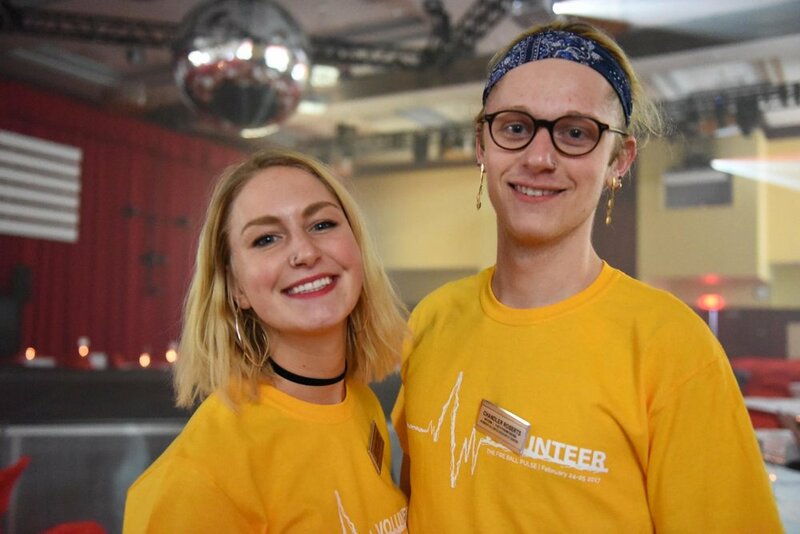 The Fire Ball has supported student involvement in freaQweek, the Civil Rights Pilgrimage, MBLGTACC (the nation's largest Queer conference), NEW Women's Leadership Conference...and much more! Come to The Fire Ball, have a faaaaaabulous time, and help UW-Eau Claire students make a difference! Bryton workin' it for an important cause! Each year, Fireballers (what we call all of you who attend The Fire Ball) enjoy a menu of signature beverages, named after our performers. Per company policy, our servers aren't able to accept tips. Instead, all tips collected are donated to UW-Eau Claire's Campus Harvest Food Pantry. In the first 3 years of this campaign, Fireballers have tipped approximately $37,000 worth of Food Bank dollars! These funds go directly toward helping food-insecure students. Do you give a buck? We Give a Buck! The Fire Ball is more than an event; it's an experience. 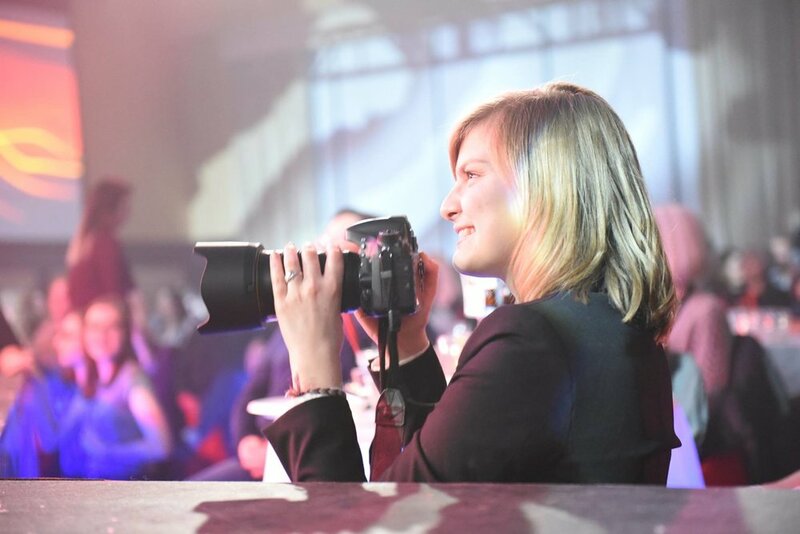 Each and every aspect of that experience is made possible by the dedication, talent, and passion of UW-Eau Claire students. The dazzling lights, incredible sound, powerful videos: all of them, student-run. The staging, scaffolding, seating: you guessed it–students! The Fire Ball is a huge production, but it is a labor of love for many of those involved. We thank each and every one of you!  The Fire Ball is more than just glamour and grit. It is like an unapologetic Queer prom, where everyone is crowned as Queens and Kings and everything in between. Folx of all sexualities and genders come together and celebrate each other. It’s fierce and affirming! I feel honored to have been a part of it from the beginning. Don't take our word for it! Ask the pros! Get the T from Alyssa Edwards! The ever gracious, Chad Michaels! A special warning from Katya! The always fabulous, Manila Luzon! The Fire Ball would not be possible, without all of you! Each year, we are surprised and honored at the level of excitement and energy Fireballers bring to this event. The Fire Ball's success is not inevitable; it is the result of your passionate and unwavering support of the LGBTQIA+ community and the events that honor our struggles–but also celebrate us! We endeavor to show our endless gratitude by creating for you two nights each year of unbridled and unapologetic freedom of expression and freedom of self. You have always been a critical part of that success. Thank you & we love you!